Vietnam Visa For UK – Do You Need A Visa For Vietnam From UK? In this complete guide to getting a Vietnam visa for UK citizens, we will look at the types of visa available, the costs, how to apply and the length of stay for different visas. The following information is based on Vietnam’s immigration regulations. These were issued on the 19th of June 2017 and are valid until the 30th of June 2019. Do You Need A Visa For Vietnam From UK? If you are a British citizen with a British passport then you can visit Vietnam for either a business trip or a holiday for up to a maximum of 15 days without a visa. The 15 day period includes the day you enter and the day you leave. Your passport must have at least six months on it from the date of entry. If you are a British National (from an overseas territory that is classed as British) then you will need a visa to enter Vietnam. You can see the full list of British overseas territories here. For British citizens that want to stay a little longer, (between 15 and 30 days) you can apply for an e-visa online. The e-visa is best for those who have fixed travel plans. You need to state your point of entry and exit on the application. The valid places where you can enter or exit are limited. If you’re not sure exactly what your plans are, you can pick up a more flexible visa from a Vietnamese embassy like the one in London. Any British person planning to stay in Vietnam for more than 30 days will need to obtain a visa from a Vietnamese embassy prior to travel. Vietnam Visa For UK Citizens – How It Works? While some of this information will be useful to everyone, most of the advice applies to British passport holders only. If you are not a British citizen then you should check the requirements for your native country. To get a Vietnam visa you will need a “British Citizen” passport. Your passport should be valid for a minimum of 6 months after the date on which you enter into Vietnam. Your passport should also be in good condition and should have blank pages left in it. British citizens have been refused entry into Vietnam due to their passports being full, in poor condition or damaged. You will also need to fill out a visa application form. It’s important when filling this out to ensure that the details match those on your passport exactly. Any mistakes in your name, date of birth or passport number can be costly and will delay your visa application. Errors can also cause you to be detained at the Vietnamese airport. You will also need to provide a passport photo taken in the last 12 months for the visa application. Depending on the type of visa you want and how you choose to apply, you may need to provide extra documents, such as proof of fee payment for tourist visas and a letter of invitation for business Visas. You could also be asked to provide evidence of flight booking. Where to get a Vietnam visa? Getting the visa that best meets your requirements doesn’t need to be a complicated and stressful experience. If you are concerned about the visa application process there are agencies that simplify the process and therefore provide peace of mind. If you decide to do it yourself, you can apply for a Vietnam visa by email, snail mail, or in person at the embassy of Vietnam in London. The opening hours are limited so you will need to go in the morning between 9:30am and 12:30pm (Monday to Friday). Please note that the embassy does accept telephone calls in the afternoons between the hours of 3:30 p.m. and 5 p.m. Unfortunately not. The cost of obtaining a visa varies greatly depending on the length of stay and the type of visa you want. Having said that, there are two main types of fee associated with Vietnam visas. The first is an approval letter fee. An approval letter allows you to get your visa at the airport in Vietnam. The price of this varies depending on the length of stay and whether you want a single or multiple entry visa. You can find information about approval letter prices from a visa processing agency. The second type of fee is payable at the airport (in cash) and is called a stamping fee. The stamping fee is approximately £20 (depending on exchange rate) on a 1 to 3-month single entry visa and £40 on multiple entries for the same time period. Can you extend a Vietnam visa? Yes. 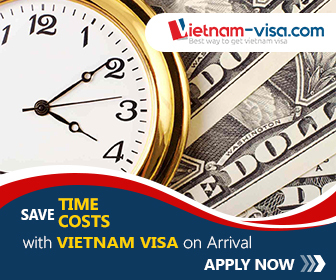 A Vietnam visa can be extended for 30 to 90 days depending on the type of visa. For information on how to extend your visa contact the embassy of Vietnam in London or any visa processing agency. Can you get a Vietnam visa on arrival? You can get a Vietnam visa on arrival, but to do this you must have a letter of approval. A lot of travellers choose to get their visa this way as it allows you to do the whole process easily online. You should organise this with an agency before you travel. Basically what the approval letter does is speed up the process of getting your visa once you’re at the airport in Vietnam. A good agency will forward copies of the approval letter on your behalf to the relevant Vietnamese immigration officials. To get a letter of approval you’ll need to fill out an application form with an agency and pay a small fee. Letters of approval can usually be delivered quite quickly, you can even get one in an hour from some places. Two to three business days is the norm, however. There are lots of visa processing companies online that can help you to get a letter of approval.